Download our app, or check out one of the states below to find your way. Download our app to find your way. 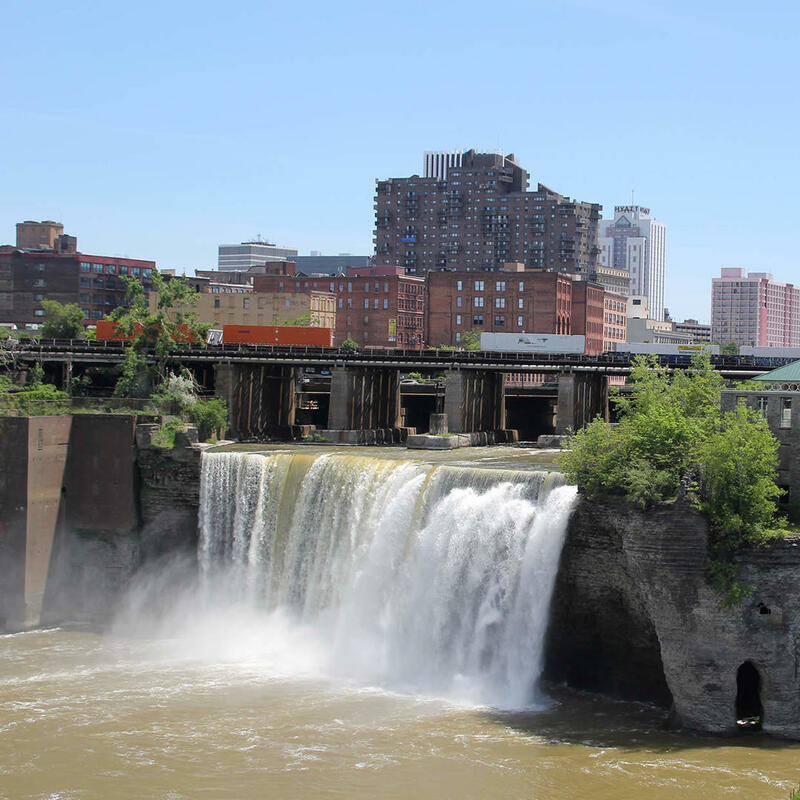 Picturesque at any time of the year, the High Falls cascade is best viewed from the Pont de Rennes pedestrian bridge that spans the Genesee River. You might be pleased to find this waterfall is conveniently located near Genesee Brew House which is famous for their nice selection of ales and great food.